Macrophages. 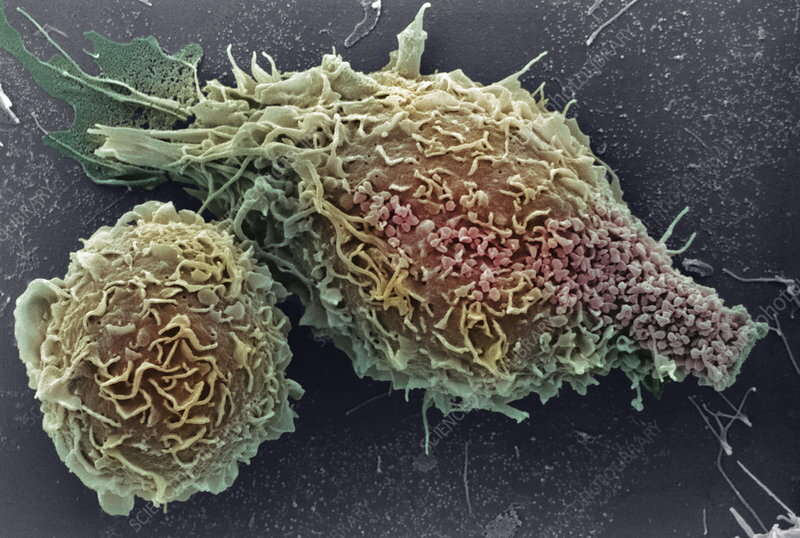 Coloured scanning electron micrograph (SEM) of macrophages. These white blood cells (leucocytes) are present in many major tissues and organs. Free macrophages accumulate at sites of infection as part of the body's immune response. They engulf foreign organisms by a process known as phagocytosis. They also play an important role in stimulating other immune cells to respond to infection. Magnification unknown.